D.C.'s other famous bald eagle pair, Mr. President and the First Lady, who nest in a tulip polar tree above the National Arboretum — have consistently laid two eggs every season. And while it's getting late in the season, there's still about two weeks left for the couple to lay eggs. Despite the high drama in the nest belonging to eagle couple Liberty and Justice — who split up, courted other mates and eventually abandoned their eggs to an unfortunate raccoon-assisted demise — there’s still a chance for a new fledge of eaglets this season. But it’s in a different nest. D.C.’s other famous bald eagle pair, Mr. President and the First Lady, who nest in a tulip poplar tree above the National Arboretum — have consistently laid two eggs every season. And while it’s getting late in the season, there’s still about two weeks left for the couple to lay eggs, according to the American Eagle Foundation, which runs an eagle-watching cam. Organizers behind the eagle cam say the First Lady’s egg-laying schedule has become “progressively more delayed” in recent years, from laying in early February in 2016 to late March last year due to a variety of factors. Breeding seasons can vary based on geography and other unpredictable environmental factors, the group said. “There’s no exact science to explain why an eagle’s nesting season may become delayed,” the group said in a news release. Last year, the eagle pair laid their first egg on March 25. 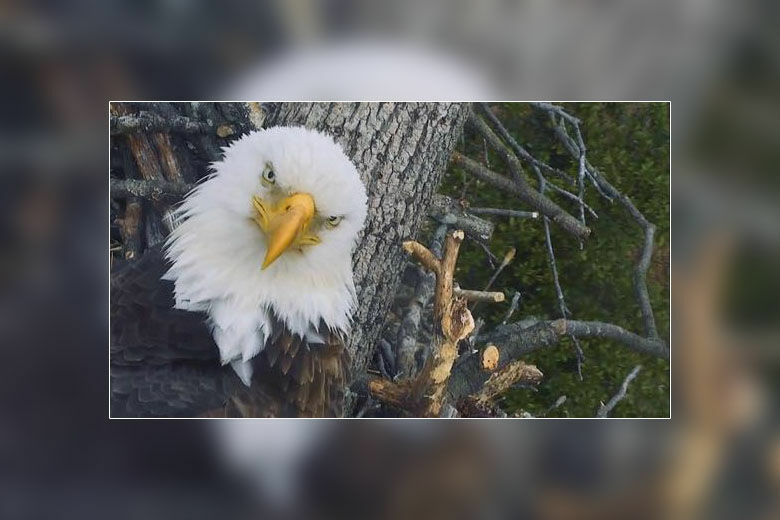 But if Mr. President and the First Lady’s nest stays empty, they won’t be alone in having an “unfavorable nesting season” this year, according to Laura Cecere Sterbens, director of public relations for the American Eagle Foundation. In the release, she pointed out that many eagle nests throughout the county have been hit with an unexpectedly egg-free season. You can look for any signs of eggs yourself on the American Eagle Foundation’s National Arboretum Eagle Cam.